Expanding a business abroad can often represent an excellent opportunity for the local enterprise to reach a range of new customers. But internationalisation is a dynamic process, and there is no one-size-fits-all method to it. Therefore, enterprises of all sizes tend to follow specific patterns as they expand across borders. As I often convey to my clients, especially in Africa these days, the reasons for their considerations to expand their businesses abroad may be motivated by various dynamics. Regardless, such dynamics should be driven by one or more of three economic factors, namely: location, scale, and scope. Businesses seeking to internationalise are usually limited in their resources and international experience. Consequently, they have to make important decisions about the scale and scope of their internationalisation efforts. Scale refers to the extent to which a business relies on international markets in its operations such as marketing, manufacturing, and research and development (R&D). Scope indicates the international geographic reach, while location refers to the offshore market(s) in which an enterprise conducts its business. Differences in the scale and scope of a business' international operations are often attributed to the location of their home market and industry conditions or the attractiveness of foreign markets, which may be another location factor (Dunning, 1988). Yet, businesses in the same location, market or industry adopt very different scope, specialised internationalization strategies, probably because of heterogeneity in their resource endowments and divergent managerial perceptions of the opportunities and threats associated with international expansion. These perceptions reflect senior managers' risk preferences that, in turn, are shaped by their ownership stake. A business' success or failure in international markets can undermine these owner-managers' wealth, careers, and professional reputations. Hence, an expansion abroad must be carefully evaluated and planned. As an enterprise expands its operations into a foreign market, managers are usually faced with increasing risk and decreasing profits as they try to cope with the challenges imposed by the internationalisation process. There is a learning curve that these enterprises need to follow, even with the best planning efforts. Expertise is developed gradually, and during that process, there is a high degree of uncertainty. And the need for upfront investment invariably saps short-term profits. Internationalisation of multinational enterprises (MNEs) in Africa has been picking up momentum. The rise in outward foreign direct investment (OFDI) from the continent has coincided with the reduction, in large part, in FDI inflows from advanced countries. Notably, aside from South African investments, little OFDI is stemming from other Sub-Saharan African (SSA) countries. Notwithstanding, African OFDI has increased significantly. African investments accounted for 13 percent of the total global OFDI in 2015, up from only 0.2 percent in 2004, according to United Nations Conference on Trade and Development (UNCTAD). In the same vein, investments by MNEs from emerging, frontier and transition economies continued to grow. By 2014, emerging market MNEs alone funded $468 billion projects abroad, a 23 percent increase from the previous year. Emerging Asia, for instance, now invests overseas more than any other region of the world. Some of the most significant economies in SSA, including Nigeria, South Africa, and Angola, have experienced sharp slowdowns, or recessions, as lower commodity prices exacerbate difficult domestic, political, and economic conditions. The picture for SSA is one of varying developmental growth. The IMF, in its October 2017 Regional Economic Outlook, emphasised the divergent trend in the region. The average growth rate in the SSA region is expected to be 2.6 percent in 2017, rising to 3.4 percent in 2018. But when Nigeria and South Africa are excluded, the average growth rises to 4.4 percent and 5.1 percent in 2017 and 2018, respectively. Internationalisation levels, however, continue to increase in several SSA economies, as several measures, such as lower trade barriers, are being implemented. This was recently exemplified by the African Union's (AU) Continental Free Trade Area (CFTA) agreement signed in Kigali, Rwanda, last month, by 44 African countries. It is my opinion, however, that what motivates MNEs to internationalise can be explained by the fact that such enterprises own specific competitive advantages. South Africa, an emerging economy, and the third largest in Africa, after Nigeria and Egypt (IMF, 2017), already has several MNEs successfully operating in specific sectors across the African continent. Companies such as the mobile network operator, MTN, the brewer SABMiller (now acquired by Anheuser-Busch InBev, the world's largest brewing company), Standard Bank, Massmart, and Shoprite, have presence in at least a dozen other African countries. 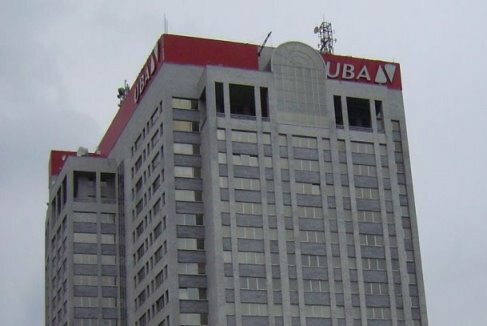 Nigeria, a frontier emerging economy, and the largest in Africa, has its own MNEs such as United Bank for Africa (UBA), Dangote Group, Globacom, Guaranty Trust Bank and First Bank already establishing significant footprints in the African sub-region. Ecobank, based in Togo, is only one of a group of Pan-African Banks (PABs) expanding throughout Africa, with operations in 36 countries, most of them frontier economies. The Bank of Africa, based in Mali, has operations in 14 African nations, while Kenya's Equity Bank and KCB Bank have operations in more than four countries in the African continent. African MNEs, however, are not only internationalising within the continent, as several are also expanding their footprints outside of it. As of 2016, African MNEs had invested a cumulative $14.2 billion in China alone, a 43 percent increase from the $9.9 billion funded by 2009 (Peng, 2006; Alves, 2016). Some of the top African investors in China are from Mauritius, South Africa, Seychelles and Nigeria. SABMiller produces and sells one of its brands, Snow beer, and the world's best-selling beer by sales volume, only in China. The company runs the brand as a joint venture with a Chinese enterprise and produces many other favourite Chinese beer brands as well. Tunisia's investment in China's fertilizer production has an even longer history. Initially launched as a critical project of China's 8th Five-Year Plan, the Sino-Arab Chemical Fertilizers Company (SACF) was a joint initiative reached by Tunisia and China when Tunisia's late Prime Minister Mohammed Mzali visited Beijing in 1984. Public policy at local and national levels can play a significant role in encouraging international entrepreneurship and MNE internationalisation. Such intervention can help in tackling various market failures, which might occur. While there are multiple actors and many potential areas for action, there are no standard policies, products or approaches that will work in every circumstance in supporting MNE's internationalisation process. My recommendation, as a first step, is to gather data about the MNE's population in the country before the appropriate actions or policies can be developed. Once the MNEs are identified, they should then be segmented, not just per size and industry, but also per growth orientation. Further assessment is then required to determine the needs of those groups of MNEs. At that stage, it is essential to reach out to the existing MNEs, to learn directly from them, regarding the challenges and opportunities they face in their internationalisation efforts. Productive dialogue between policymakers in the country and MNE's upper management can be a significant challenge, however. This is because MNEs have varying needs and executives have limited time. Support and interventions, therefore, need to be both targeted and of good quality. Government support, as well as the support of many other counterparts, such as diplomatic missions abroad, communities of practice, business enterprises, and entrepreneurs, can be of assistance to these MNEs. These institutions can assist MNEs within the quantitative as well as the qualitative sense, including helping those with lower productivity and scarce management resources to enter high-growth markets with more stringent entry barriers. Without such support, only a minority of typically large MNEs can enjoy the benefits of internationalising. In fact, support of MNEs' businesses in high-growth markets is regarded as an essential policy by many policymakers in the OECD countries. Local governments and development agencies should be very active in the design and delivery of international entrepreneurship programmes, including but not limited to promoting exports and internationalisation. Given the proximity of sub-national governments to local MNEs, there is a need for such governments to take the appropriate, and targeted actions to improve the growth and internationalisation of MNEs within their jurisdictions. The work of specialised agencies geared towards supporting and promoting MNEs also plays a significant role in MNEs internationalisation. These agencies should be able to supply valuable information, provide critical networking platforms and allow for the exchange of ideas and best practice. Public policies are critical in providing the right environment and incentives for MNEs through their process of internationalisation. The role of the government should, however, be facilitative, not dictatorial, and public financial support should never be more than 50 percent, as most top-down prescriptions do not yield the intended results. Also, too much public financial support, without co-investment by the private sector or market, can hinder rather than help by creating possible market distortions. These MNEs must be market-driven and competitive. If they are overly dependent upon public support, they surely will not be sustainable. The international business environment is continuously changing, as are the opportunities for African MNEs. Governments, specialised agencies, academia, and other private concerns supporting MNEs also need to modify their approaches as necessary. Otherwise, their efforts would end up addressing problems of the past and they would become inefficient in dealing with current and future issues. Marcus Goncalves, Ph.D., International Management Consultant, Associate Professor of Management, Chair International Business Program, Nichols College, Dudley, MA. USA – marcusg@mgcgusa.com, marcus.goncalves@nichols.edu.